How do you know what’s the right hotel billing software for you? 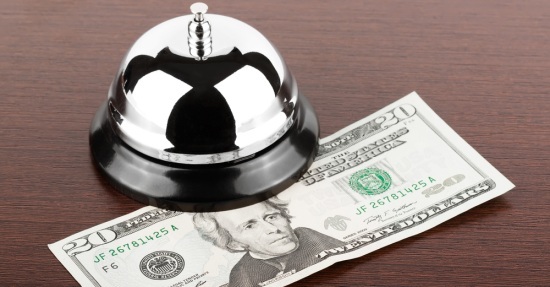 Billing software for hotels streamlines and automates the guest billing process. Whether the property is a small boutique hotel or a resort property, billing automation is critical to ensuring that a guest receives an accurate bill upon checkout. A property management system (PMS) integrates with all of the billing systems throughout a hotel and generates a single bill for the guest. There are many PMSs available on the market, and there are even more vendors that install and support PMSs. With so many options available, it is important to evaluate both the technical specifications and the hotel’s support requirements before beginning product evaluations. Some hotel chains are restricted to a particular PMS through their corporate requirements, while other hotels may be able to choose any PMS that suits their needs. Since there is such a wide variety of billing software for hotels available, this can be an overwhelming process. The easiest way to begin the process of selecting the right billing software for hotels is to create a list of all of the billable services that a guest may use during their stay. The list below are examples of the systems and services that a guest may use and charge to their room. A hotel, after making a thorough list, will know the different systems that will for PMS integration. It may be possible to bill each of these services separately. However, due the number of transactions that are involved, it is usually more cost-effective to have all of the systems automatically transmit their data to the PMS. The goal of evaluating these areas, before contacting vendors, is to provide the hotel with a checklist to provide to each bidding vendor. Hotels that offer more services to their guests will require a hotel PMS with multiple interfaces to handle the transactions from each system. Conversely, a budget motel may only need a basic PMS to process charges from the hotel’s phone system. Once the hotel has accounted for all of the systems that will need to integrate with the PMS, it is finally time to contact vendors of those systems that meet all of the hotel’s requirements. Larger manufacturers have national accounts programs. These programs provide hotel chain franchisees with access to a preselected list of vendors who are qualified and experienced with that chain’s requirements. These vendors may be able to provide their clients with manufacturer discounts that are not available from other vendors of the same product. A national account program can be a convenient way of choosing a vendor of billing software for hotels. However, a hotel should not feel limited to just one vendor, especially when shopping for such an important part of their operations. A hotel must also consider their ongoing technical support needs. Hotels must have responsive vendors that can act quickly when there is a technical issue or equipment malfunction. An independent distributor may be able to provide faster response times, depending on their proximity to the hotel. Some may also offer additional services, such as ongoing training for hotel staff. Choosing the right billing software for hotels and the best vendor is a decision that can have a long-lasting impact on a hotel’s operations. A reliable PMS minimizes complaints from guests about billing errors, and a great vendor can minimize the impact of unforeseen technical problems. Hotel’s can minimize the chances of choosing the wrong billing software by taking the time to evaluate their needs before beginning the selection process.